Gary Swan performed Chopin at his first organ recital at age twelve after two lessons. By the age of sixteen he had already worked every weekend and summer performing professionally and was recognized as a first call keyboard player. His diverse ability and knowledge of music has been utilized by legendary artists like Jackie Wilson, Mary Wells, Etta James, Supremes, Pointer Sisters and dozens of others from country music to Rock & Roll. 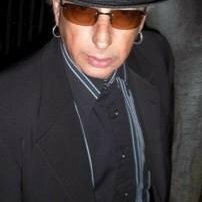 Residing in Los Angeles now, Gary performs with his own band and continues working as a session player with some of Los Angeles top producers providing the classic Hammond organ sound for their projects.